Brian, on his way back to base after mid-tour leave, was wounded by a roadside bomb that sent shrapnel through his brain. Kayla waited anxiously for news and, on returning home, sought out Brian. The two began a tentative romance and later married, but neither anticipated the consequences of Brian’s injury on their lives. 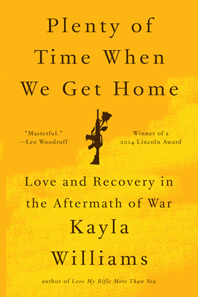 Lacking essential support for returning veterans from the military and the VA, Kayla and Brian suffered through posttraumatic stress amplified by his violent mood swings, her struggles to reintegrate into a country still oblivious to women veterans, and what seemed the callous, consumerist indifference of civilian society at large. Kayla persevered. So did Brian. 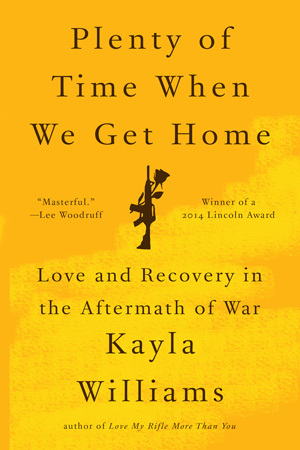 They fought for their marriage, drawing on remarkable reservoirs of courage and commitment. They confronted their demons head-on, impatient with phoniness of any sort. Inspired by an unwavering ethos of service, they continued to stand on common ground. Finally, they found their own paths to healing and wholeness, both as individuals and as a family, in dedication to a larger community.